JUST when you thought that a burst of creativity in Biblical exegesis became the final word in the field, a subterranean paradigm shift unfolds. With its development the earlier creativity is seen as encased within a certain methodology, such that the new burst in creativity is not a departure from, or a quarrel with, the earlier mode. It is simply something new. Given that the Hebrew Bible is the eternal book, its layers of meaning accumulate not just one layer upon the other. Not just another take on a verse or a passage; not just another read on an ambiguous or amphibolous Hebrew word or phrase; not just another angle of vision on a Biblical theme. Rather, an entirely new field is discovered within the Biblical text. We are living through just such a burst of creativity, just such a birth of a new paradigm in Biblical exegesis. I would classify this paradigm as personality. What is sought here is an entire Biblical life  a biography, so to speak. Biblical passages, commentaries and midrashim are plumbed for their bits of information on Biblical personalties, whereupon these bits of information are woven into a picture, a complete reading of a Biblical personage. This does not replace the individual readings of verses and passages, nor the prismatic approach to layers of meaning inherent in Biblical syntax and grammar. Rather, it is simply something new. The new exegetical method is to yield Miriam, Moses, Joseph, Abraham (and so on). More than half a century ago  in a BMH Hebrew School classroom  the late Rabbi Ernest Gray, when asked about who Moses was, responded, It would take another Shakespeare to draw a portrait of Moses. I am not sure that the new Biblical exegetes will achieve the place of Shakespeare, but some very sophisticated portraits of Biblical personalities are emerging. To achieve a complete portrait, a person needs to spend years working on it. The popularity of the new methodology is verified not just by full length works. Attempts to construct partial portraits of Biblical personalities also proliferate. One such attempt is that of Rabbi Elchanan Adler. Writing in Mitokh Ha-Ohel (Maggid, 2010), he asked this question: Can we link an early and a later incident in the life of Miriam, the sister of Moses and Aaron? Can we see the later incident as reflecting something of an indelible personality trait in Miriam, manifested early in her life? This is the type of question that animates the current paradigm in Biblical exegesis. Here is its application by Adler to Miriam. THE end of this weeks Torah portion has a striking incident. Two siblings, Aaron and Miriam, speak against Moses, whereupon Miriam is punished with a terrible skin disease  like snow. Aaron pleads Miriams case. Aaron said to Moses: I beg you, my lord, do not cast a sin upon us [Miriam and me], for we have been foolish and we have sinned. Let not her [Miriam] be like a corpse, like one who leaves his mothers womb with half his flesh having been consumed! (12:11-12). Now, Miriam was one of the all time righteous women. It is said that in Miriams merit the entire nation of Israel was hydrated during the its 40-year trek in the desert via a miraculous, moving well that accompanied the Israelites on their travels. How is it possible that Miriam spoke against Moses? Rather than identifying a moralistic point in the Bible that even someone so great as Miriam is not perfect, or an ethical point that the sin of slander is severe, Elchanan Adler seeks a biographical answer. He explores the personality of Miriam. As I summarize his ideas I often use his words. Miriam and Aaron had spoken against Moses regarding his wife, the Cushite woman, Zipporah. Rashi takes this to mean that Miriam criticized Moses for separating from Zipporah, from not having a normal family life. Moses had done this in order to remain on call for prophecy at all times. Miriam reasoned: I too am a prophet, but I have not separated from my husband. Why should Moses presume to be different? In effect, Miriam was devaluating Moses unique status as a prophet. Only his prophecies came via a clear lens, unlike the clouded lens accessible to all other prophets. ADLER sees the impact of Miriams early personal history on her mature critique of Moses. Ironically, her early history was more than praiseworthy  it became the instrument of the ultimate redemption of the Israelite slaves from Egypt. When Pharaoh decreed that all new Jewish males be tossed into the Nile and drowned, Miriams father Amram reacted by divorcing his wife Yocheved. He reasoned: If my child is to be forcibly drowned, why give birth to him to start with? Many in the Israelite community followed suit. Miriam, however, saw it differently. She chastised her father. She said: Your act of divorce is worse than Pharaohs. He has decreed the death of newborn Jewish males. You prevent the birth of both males and females. Hearing this, Amram reversed his decision and remarried his wife Yocheved. Clearly, Miriam, had a powerful instinct for the profound importance of Jewish family life. To Miriam, even extraordinary circumstances did not justify breaking up the family unit. STILL more. Even at her young age Miriam was a prophetess, and one of the prophecies she received was that it was her mother who would give birth to the future redeemer of Israel. How could that happen, however, if her parents divorced? Thus, Miriams objection to her fathers act was twofold: against the prevention of the birth of females, and against the prophecy that a younger brother born to Yocheved would ultimately lead the Israelites out of Egypt. This, then, is the twofold pattern etched early in Miriams personality: high regard for Jewish family life and for her status as a prophetess. Moses separation from his wife thus triggers Miriams longstanding advocacy of family life as well Miriams view that a normal family life does not vitiate ones status as a prophet. A critical incident in Miriams early life comes to expression decades later when she sees what she takes to be her brothers misguided separation from Zipporah. Where Miriam went wrong was in equating her prophecy with Moses. This led her to misunderstand Moses abstinence. STILL more. In this weeks portion, Miriam is punished for her of her younger brother Moses by being banished from the camp for seven days, like anyone else with the skin lesions that disfigured her. And the L-rd said to Moses: Were her father to spit in her face, would she not be humiliated for seven days? Let her be quarantined outside the camp for seven days, and then she may be brought in (12:14). Adler asks: Why the metaphor of a fathers rebuke? Is this analogy merely hypothetical? Actually, not. Yocheved to nurse and raise the baby. Miriams profound belief in Jewish family life and her prophecy were vindicated. Even her fathers snub became groundless. 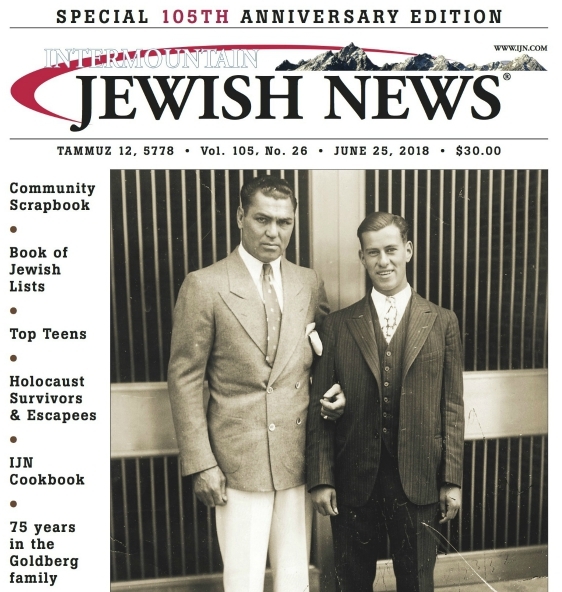 Yet, decades later, after Miriam criticized Moses and was punished with seclusion due to skin disease, it reopened old wounds from her past by triggering bitter memories of her estrangement from her father, writes Adler. We may now understand why G-d drew the analogy of her father having spat in her face. The Divine rebuke was to Miriam in her adulthood what her fathers slap must have felt like many years before. Millions of people postponed their journey out of respect for Miriam. As Rashi put it, just as Miriam had waited in her youth for her baby brother by the riverbank, now the entire Israelite nation paid her the tribute of waiting for her. MIRIAMS critique of Moses and punishment for it opened up a window to her past. And her past motivated and shaped her action in the present. Her personality was of a piece. As we go about the business of our daily lives, concludes Adler, we all carry within ourselves imprints of our youth. . . . Every so often, we become aware of these forces through powerful experiences that reawaken our past. . . . as with Miriam, the suffering can serve to expand our wisdom and consciousness, while also allowing for therapeutic, emotional healing. As we struggle through the hurt of old wounds, we can, hopefully, come to realize that despite our disappointment, we remain worthy of G-ds love.